When the black economy of a country is equal to around a fifth of its GDP, the matter requires serious debate and unpopular methods to tackle it. Since May 2014, the NDA government has shown that it has the resolve to push through tough measures aimed at tackling India’s large but amorphous black economy. The NDA seems to realise that the battle against black money will be a prolonged affair and hence is steering clear of sellotape solutions in favour of sweeping changes. The black economy, or the unaccounted economy, can be defined as: (a) income which is illegal; and (b) income which evades tax. Thus, black money does not only refer to income generated via illegal activities. It also encompasses all the income generated legitimately but hidden from the taxman. A range of studies suggest that the size of India’s black economy expanded rapidly over the 1970s and 1980s but since then has been contracting gradually. Studies further suggest that the majority of this black money in India is locked up in physical assets such as real estate and gold. Despite a high savings rate, two-thirds of India’s household savings are held in physical form, which includes real estate and gold. Over the past two years the Modi-led administration has undertaken a range of specific measures to curb the size of India’s black economy. These measures include making it a criminal offence to have undeclared wealth abroad, making a PAN card number mandatory for purchase of goods/services whose value exceeds Rs 200,000 and enacting a new legislation to regulate the real estate market in India. As a result of these measures, our sources across the country are unanimous in saying that the traditional black money laundering machines in India (i.e. real estate and gold) have been jammed fairly comprehensively since the third quarter of FY16. Besides the fall in demand for real estate and gold, the government’s crackdown on black money has triggered four macroeconomic trends in India. First, the increased fear of scrutiny of money held in the banking system has meant that there has been a marked increase in the preference for cash in physical form – cash with the public has risen from 4% of GDP in May 2014 to nearly 6% in March 2016. While several bankers, including the outgoing RBI governor, have said that part of the surge in currency with public is due to multiple state elections, it appears unlikely that the recent surge in currency with public has been driven by the state-election-related dynamic. This is evident from the fact that even when the last general elections took place (May 2014) currency with public did not rise as much as it did in the second half of FY16. Second, even as currency with public continues to surge, correspondingly and unexpectedly there has been a visible decline in the usage of formal banking channels (ironically at a time when nearly every household in India has a bank account). This is mainly evident in the form of a decline in bank deposit growth, which hit a six-decade low in FY16. The collapse in deposit growth was in all probability exacerbated by the fact that the quantum of black money in the banking system entering via the deposits route has declined. The decline in the desire to use formal banking channels is also evident in a sharp drop in the growth of real time gross settlement system (RTGS) transaction volumes under the NDA regime. Further, the growth rate of the use of debit cards at the point of sale has also declined over the last two years. Third, the crackdown on black money has manifested itself in a doubling in outward remittances as black money attempts to leave India. In all likelihood this surge has been the result of black money being remitted out of the country following the passage of the Black Money Act, 2015. Lastly, as a result of the factors explained above, an increase in the cost of funds appears to have transpired both inside and outside the formal lending system. While a crackdown in black money would have resulted in an increase in financial savings if economic momentum in India was picking up, the slowing economic momentum has meant that the black economy itself has found another stable equilibrium because the sub-investment grade borrowers who are being denied credit by India’s busted banks are willing to tap into informal/black lending channels to meet their capital requirements. This, in turn, has meant that there has been an increase in demand for black money (or increase in demand for black money savings). This demand for credit - which formal banking channels are unable to meet - is being met by the growing pool of black money that is being squeezed out owing to the government’s crackdown on this front. This counter-intuitive development is worrying because it disintermediates the banking system and thus further compromises the RBI’s ability to control monetary policy transmission. Unsurprisingly, therefore, the RBI’s 150 basis points of repo rate cuts since January 2015 do not seem to have made any impact on economic growth. 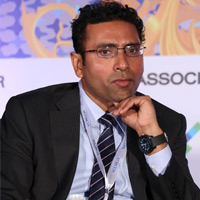 Saurabh Mukherjea is CEO (Institutional Equities) at Ambit Capital. His next book, “The Unusual Billionaires”, will be published by Penguin in August. Like this Insight? Sign up for our daily newsletter to get our best reports.